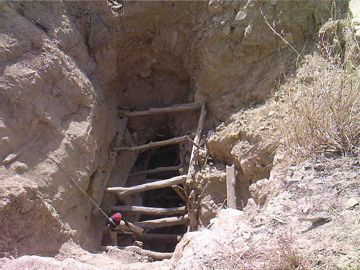 Have you ever visited an artisanal mining village, deep in the African bush? We speak of a village, but is it really one? 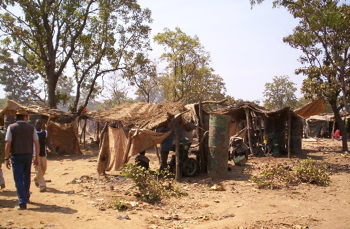 In reality, there are hundreds, even thousands of huts that intertwine to make up and organize the artisanal gold mining collectivity. The houses are made of straw or canvas and tin roofs. 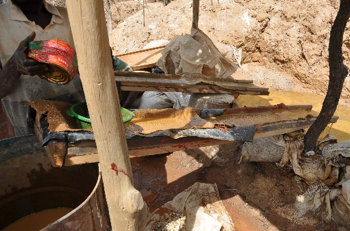 The lucky ones, who found a gold vein, chose to build their homes with rammed earth mud bricks. These villages are teeming with life! Early in the morning, we meet the men, young and old, dragging their feet a little while going to the mining wells; they’re going to have to dig again and again. With the risk of having the mining pit collapse. They are determined to pay attention and stay focused, but accidents happen quickly. Just by going down one of these holes, sometimes 80 meters (260 feet) deep with an old knotted rope and pulling the hoses to breathe, the risk of falling is ever present. The hose is a poor alternative to the windsock made of plastic bags sewn together and operated by a child at the dark pit opening, barely propped up. The digger is equipped with almost nothing except a flashlight that he took care to attach to his gray head, covered in dust, with a cord made from a striped truck tire tube. He also has some batteries in his pockets, just in case. We also see women, some going to pan in the shallows, hoping to find some nuggets. Others go out to prepare food that they will sell during a workers’ break. Some have opened a tavern where they come to drink millet alcohol, hot beer or other adulterated alcohol. 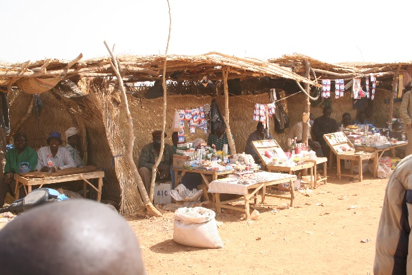 There are still “shops” in the artisanal gold mining village. Bottled fuel can be purchased for motorcycles. Some tools to dig. Well-worn “made in USA” printed clothes. Toys for the children. Stacks of a multitude of other objects, sometimes useless, sometimes essential like toothpaste or small bags of “Omo” (laundry soap powder). In one part of the village, all the modified grain mills used to grind the ore, harvested and previously pounded by the women, are gathered in a specific area. The earth in this place is black with oil and poor-quality gasoline spewed out by these steaming mills and backfiring. A little further, workers are washing ore dust on sluice boxes made of wood, inside scraps of carpet have been laid to capture the gold dust. In the artisanal mining village, there are also many children. 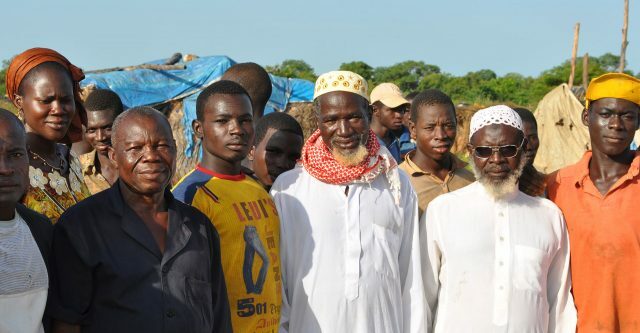 Some may go to school, but most often, they will help their fathers at the bottom of the mining shafts. They are smaller and more agile too, so they are sent into narrow openings at the bottom of the holes. The little ones stay with their moms who pound quartz. Others play around a small pit dug on the ground, in which all the residues mixed with mercury from the gold washing stagnate. Further away, there is an outdoor open area that has been transformed into a makeshift lavatory. And in the distance, there are straw huts where you find gold buying brokers. 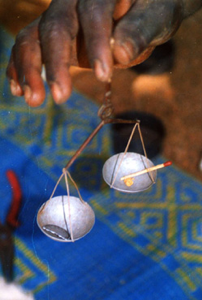 Buyers, most of the time, work with very small flail scales and use 25 cent CFA coins and matches as weight. We should still talk about the butcher, the millet beer brewer, motorcycle taxis, mules that draw heavy carts, filled with water cans, Fulani women who come to sell milk from their herds they carry in huge calabashes resting on their heads. And sometimes they have walked a long way … There are still the dogs that rummage through the garbage and blue or black plastic bags which are strewn on the ground for miles upon miles. Goats, sheep, oxen. And even more motorcycles and bicycles that cross in a happy chaos! 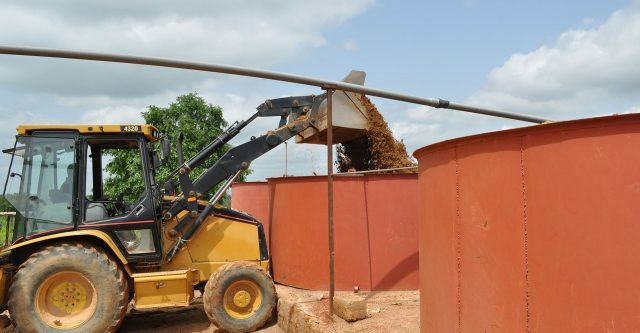 That’s all, and much more, in an artisanal gold mining village in Africa!